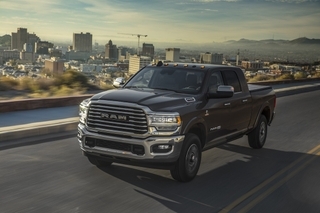 Many of the world’s most iconic automobiles feature HARMAN’s audio brands. Now, thanks to HARMAN's exciting joint engineering with Lamborghini, the Bang & Olufsen Sound System will appear in the all-new Lamborghini Urus scheduled for release in spring 2018. Lamborghini is among the most highly regarded super sports car brands in history. What better match for this icon of the automotive industry than Bang & Olufsen, whose dedication to excellence is as fierce as that of Lamborghini. 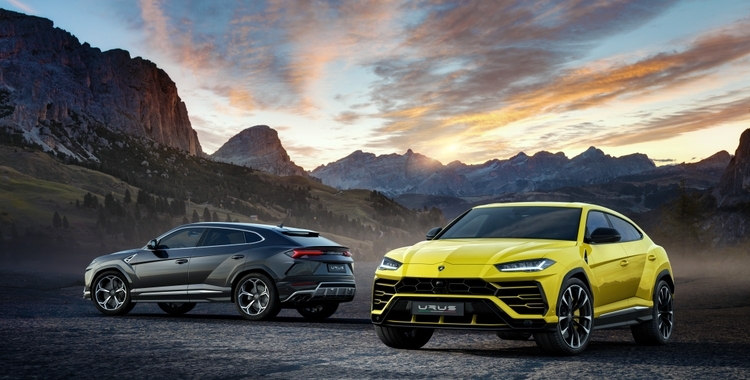 Lamborghini Urus will be the first model to feature Bang & Olufsen sound, and it is not your average SUV—and the Bang & Olufsen Sound System is not your average car audio. 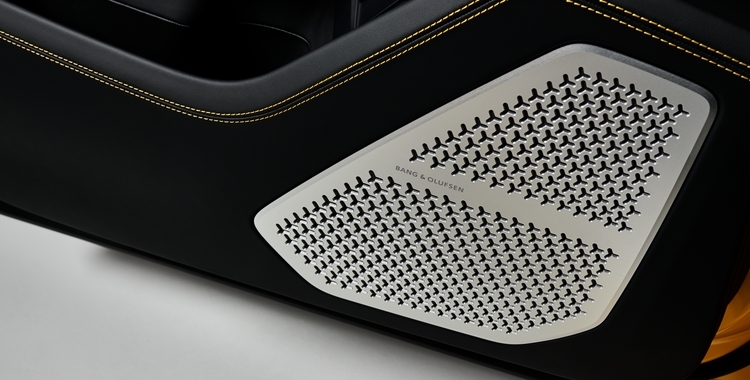 Produced through close collaboration between Lamborghini, Fraunhofer IIS, and HARMAN, the system creates an immersive, natural 3D sound experience. The system brings together the best of three worlds as it combines Symphoria®, a revolutionary rendering solution for 3D surround sound reproduction developed by the Fraunhofer Institute for Integrated Circuits IIS, with Bang & Olufsen’s multichannel matrix processing and Lamborghini’s unparalleled sportiveness and power. 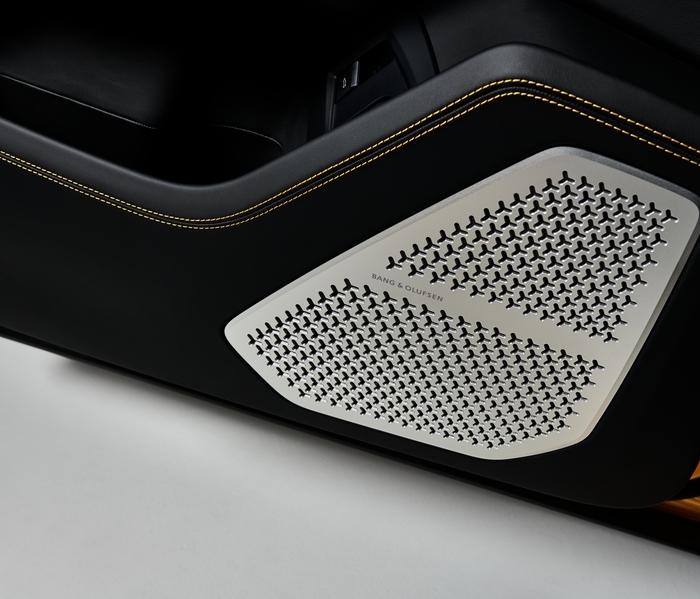 The acoustic lenses seamlessly integrated into the front instrument panel of the Lamborghini provide a wide 180° horizontal dispersion of high frequencies, delivering an improved sense of space, staging and realism. 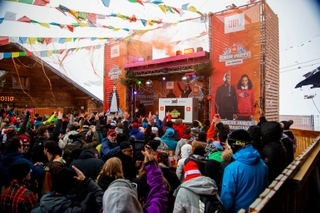 Regardless of their seat, passengers are treated to a natural, clear reproduction independent of source and music genre, creating the impression of a three-dimensional sound stage that increases perception of the height, depth and size of the music. Bang & Olufsen’s expert sound engineers spent over 400 hours fine-tuning and perfecting the Bang & Olufsen Sound System for all seating positions and driving conditions alike. Moreover, the system features HARMAN’s patented Vehicle Noise Compensation (VNC) technology to further enhance the audio performance of the very dynamic sports car. VNC measures the background noise inside the vehicle cabin and dynamically equalizes the audio system in response to driving styles of even the most sports-oriented drivers, thereby keeping the music experience intact. Bang & Olufsen’s speaker design with specially manufactured aluminum elements is truly unique, and further amplifies the system’s immersive power. The stunning looks of the speaker grilles in all four doors make it the perfect choice for design lovers who also appreciate excellent sound. The exclusive silk matt top finish with sparkling highlights demonstrate how its manufactured with extreme precision. 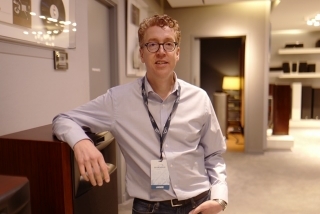 The goal of every Bang & Olufsen sound system is to come as close as possible to re-creating the experience of a recording the way the artist intended it. Bang & Olufsen and Lamborghini’s collaboration has resulted in a stunning audio system that fulfills this goal in every way: a powerful 21-channel 1,700-watt BeoCore Class-D Amplifier, scalable Digital Signal Processing (DSP), ICEpower® technology, and 21 loudspeakers for superb, authentic sound. Deliveries of the Lamborghini Urus will commence in spring 2018, with its first public unveiling on December 4 at the Lamborghini headquarters in Sant’Agata Bolognese, Italy. Don't miss to join the conversation with #SinceWeMadeItPossible and #Urus.